Hi! Kit Morgan here and today I want to write a bit about dueling. Dueling, a more formal type of fighting, was also popular on the frontier. 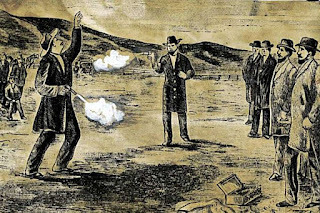 You might think of gunfighters meeting at high noon, but dueling was different. 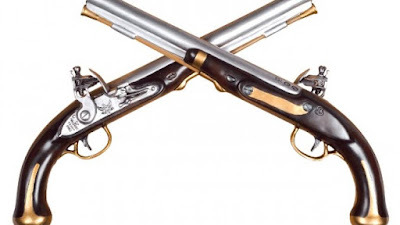 Amercian duels were also quite different from those of Europe since most American contestants would not accept any apologies on the ground or allow the seconds to arbitrate a peaceful solution. Duels in Europe were fought by rigid rules, each duelist having a second. On the frontier, some duels were fought without seconds and without rules. 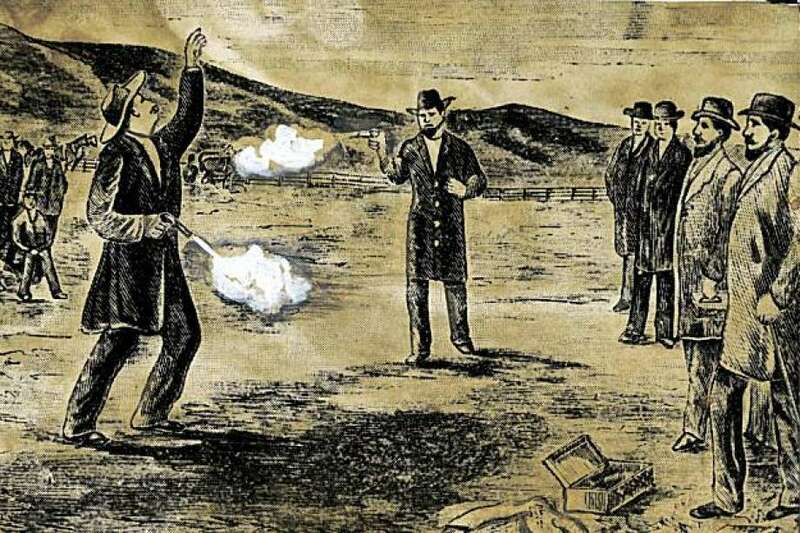 For example, two families in Illinois who had been feuding for years finally resolved to fight a duel. 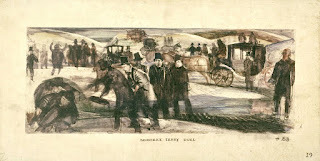 The heads of the two families met one day in a saloon and one of the men suggested that they go across the river and settle their differences once and for all. His opponent accepted. The contestants crossed the river leaving the disappointed spectators on the opposite shore. Arriving at the battleground, they removed all their clothes to fight like naked savages. After a decent interval, the crowd decided to intervene. They crossed the river and parted the naked, sweating, bloody rivals. The two antagonists shook hands and became friends for a time, though one of the contestants died within a year from wounds received in the duel. 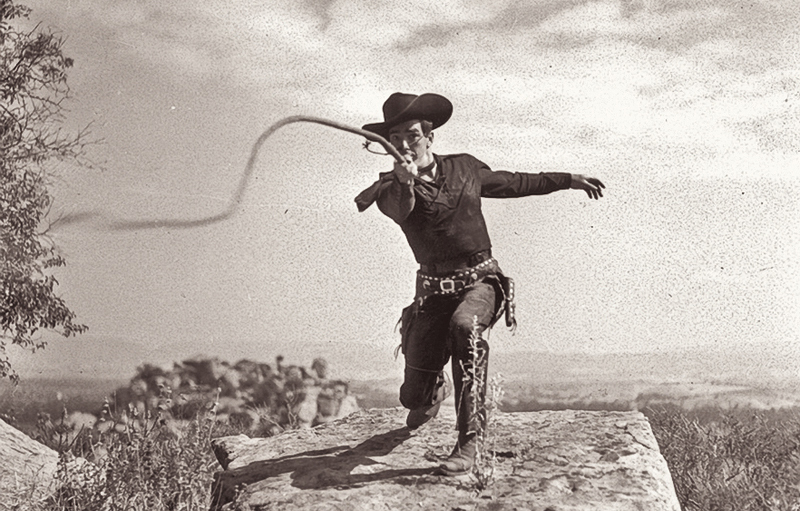 Duels were sometimes fought with ordinary pocket knives. On signal, the two men advanced toward one another with open knives. Each tried to slash or stab the other. to avoid undue parrying and wasted motion in some knife fights, the left hands of the fighters were tied to each other. If you'd like to check out my books you can find them on my website at www.authorkitmorgan.com! Until next time!